Once we fell ill or got injured decades ago, a cure was usually found in the kitchen cupboard, or some type of plant was brewed to cure it. There was usually no opportunity, to rush to the local hospital. What remains are a variety of traditional solutions, that are still recommended by doctors today, that our ancestors once used. Something as common as a nasty case of strep throat, doctors will usually prescribe antibiotics, but also offer sage advice from the past, such as gargling with salt water, this to reduce the swelling. There are a variety of nostalgic medical advice, that’s still recommended by modern medical practitioners today. A crying irritable baby, is a distressing signal for any new parent. Our ancestors, had to deal with this same issue we have today, but didn’t have the convenience that we currently have, to soothe a cranky infant. The most common reason for a baby to cry, is they’re suffering from colic, gas, or stomach upset. What our grandmother used, was a solution known as gripe water, to quieten the baby. This concoction however in the past, contained alcohol as an ingredient, which quickly put the baby to sleep. More recently, gripe water is now recommended by doctors, and sold as an over-the-counter remedy, minus the alcohol, provided the baby isn’t allegic. You can also mix your own tonic at home, by using dill, ginger, baking soda, or fennel, this to reduce nausea, or soothe stomach cramps in crying babes. What many will choose to steer away from, are menthol based lotions, such as the popular brand BenGay, which is a cooling athletic ointment, which promises to cure a variety of bodily and muscle aches and pains. Many will avoid this product, because of it’s potent offending menthol odor. However, there are a variety of heath professionals, therapists, including doctors, who still stands behind the effectiveness of topical menthol, as a remedy. What it does is soothes muscle and nerve pain, allowing one to exercise longer, or remain active much later in life. The menthol that’s used in these topical analgesics, does is activates a critical protein receptor that’s in the skin, which lessens the nerve signals that’s connected to chronic pain. The good news is, there’s now “odor” free versions that are available. For our elders, it was the go to solution, which was eating stewed prunes on a daily basis every morning, placed on oats, this to “stay regular.” This ancient remedy, appears to be another timely solution and cure, which is a natural solution, that’s recommended by doctors today. 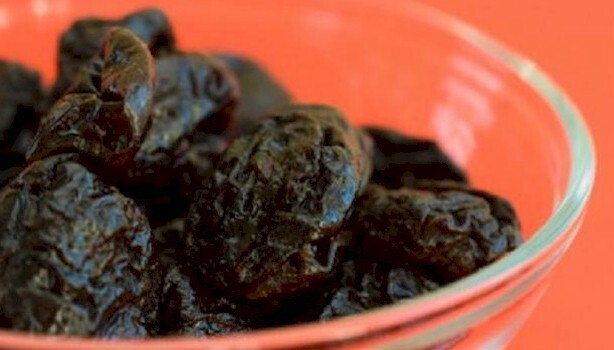 What the latest clinical research shows, is that consuming up to 12 prunes or dried plums, this on a daily basis, is a far more effective solution to alleviate constipation, than taking the more common over-the-counter psyllium oral tablets.